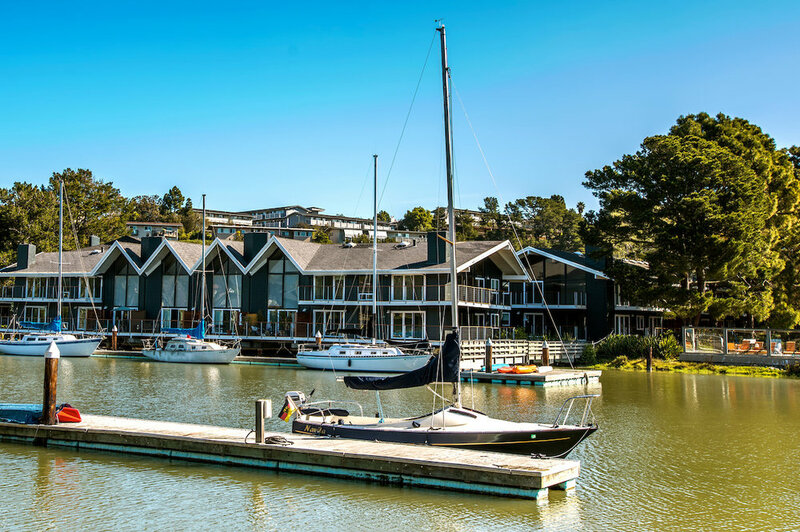 Newly renovated apartments, resort-style amenities, private marina, top-rated school district, Marin County charm. It doesn’t get better than The Cove. One Bedrooms starting at $3,135. Two Bedrooms starting at $4,340. From the moment you visit The Cove at Tiburon, you'll feel the comfort and convenience that makes our residents happy to call us home. Resort-style amenities, newly-renovated apartment homes, meticulously-landscaped grounds, and a dedicated staff contribute to a higher standard of living. You can choose to rent between 1-3 bedroom floor plans, right on the waterfront of Richardson Bay. Convenient shopping, the Reed Union school district and parks are close at hand, while sponsored activities help you get to know your neighbors. We offer a variety of newly renovated 1, 2 and 3-bedroom spacious apartment home floor plans as well as flexible leasing options and short-term leases to suit your lifestyle. The Pointe at Cove is our newest collection of two, three and four-bedroom residences featuring premium finishes, luxurious touches and stunning views of the San Francisco skyline. Away from the hustle and bustle of San Francisco, experience relaxed and active lifestyle in Tiburon, CA. Enjoy a sail from our private marina, work out in the fitness center while overlooking the indoor pool, or host a party in the Clubhouse. Apartments with open floor plans, floor-to-ceiling windows, in-unit washer and dryers, oversized closets, wood-burning fireplaces, chef’s kitchens with high-end appliances and more.